Q: Why does my Kindle Fire only play some MP4 files? I have some MP4 and MKV files existing on my computer and want to play movies on my Kindle Fire during travelling. However, only some MP4 files play well. It always shows "Sorry, this video cannot be played" for the rest videos. Any suggestion, please. The above problem that the user mentioned isn’t uncommon. We took hours and efforts to copy videos to Kindle Fire only got a “Kindle Fire stopped playing videos” response. How irritating it is! But what if this unlucky thing occurs to you? What would you do? At this moment, you don’t need to rush to make a complaint phone call to Amazon customer service, which usually takes you some time to solve a problem. The best way is to calm down and find the reasons and solutions. If you happen to read this article, we wish the following tutorial will help you to solve the “Kindle Fire won’t play videos” problem. HD Video Converter Factory Pro supports to convert videos to 300+ formats and devices. And it has the fastest conversion speed, up to 50X than any other video converters. Especially the function of converting videos to a certain device, can solve the video formats compatibility issue to the maximum extent. Make sure the original videos can be played normally. Because sometimes, the sudden disconnection would lead to the videos’ breakdown during the videos transmission to Kindle Fire. If that’s the case, just retransmit and the problem of Kindle Fire stopped playing videos will be fixed. But if the original videos have already been damaged, then, you can try some video recovery software to fix your damaged videos. If the videos are encrypted, they will never be played normally without decryption. So under this circumstance, you can use some screen recorder tools to record the encrypted videos and transmit them to your Kindle Fire. The unsupported formats or codecs are the most common causes for Kindle Fire not playing videos problem. Here, we will list some Kindle Fire common content formats. Just keep reading and have a better understanding of the supported Kindle Fire video formats. If you are confused by the parameters above, don’t be worried. Here, we highly recommend you a simple and intuitive method to easily solve the Kindle Fire video formats problem. HD Video Converter Factory Pro is the wonderful and handy video formats converter. It contains 100+ video and audio formats and 200+ devices, meeting all your conversion needs and making your conversion process simple and quick. With the aid of HD Video Converter Factory Pro, you can watch almost all the videos on Kindle Fire without formats incompatibility issues. Before we start the process, just free downloadfree download HD Video Converter Factory Pro and install it on our PC. 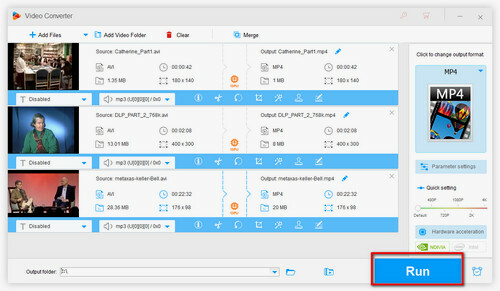 To solve the Kindle Fire won’t play videos problem, firstly, launch the easy-to-use video formats converter on your computer, then click “Add Files” to add your desired videos to the program, or you can just drag and drop them to the main interface. Click the Output Format window on the right of the main interface and select the needed tablet model under the Amazon tab. As you can see, there are various of device models. 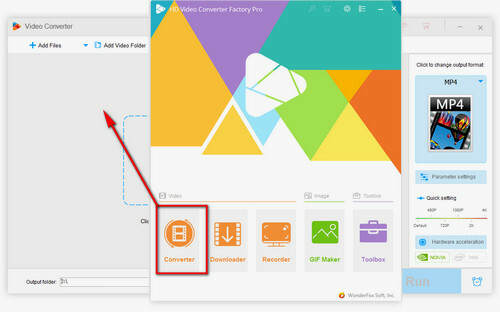 You can convert your videos to any of the devices, like converting videos to Android, converting videos to iPad, converting videos to Sony, etc. 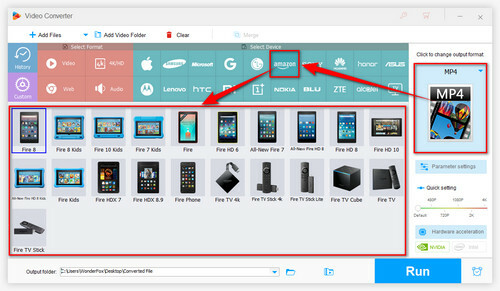 to easily solve the compatibility issue between videos formats and devices models. Moreover, you can choose a certain video format under Video tab to convert your videos to your wanted format. 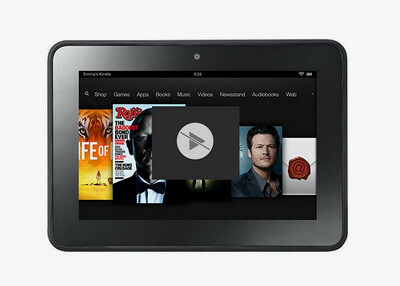 After choose your Kindle Fire tablet model, just click RUN button to wait for the conversion process. Of course, before you click the RUN button, you can adjust the video parameters, like changing resolution, bit rate, frame rate, etc., by clicking the Settings button in the lower right corner. After the conversion process is finished, connect your Kindle Fire to your computer, and transmit the converted videos to your Kindle Fire, then, you can enjoy the videos on your Kindle Fire! What a simple way to solve Kindle Fire stopped playing videos problem! If you still think converting Kindle Fire video formats is troublesome, maybe you can try some powerful media player apps. And here, we recommend to you VLC for Kindle Fire. With its built-in decoder, most audio and video files can be played on it. Or if you have any better solution, please contact us, we will be glad to receive your feedback. With its GPU acceleration, conversion speed gets up to 50X faster than any other converter tools. Besides converting, you can just download your favorite videos, movies, MVs, etc. on the Internet. It supports batch conversion and can convert and output videos from SD to HD, which give us a more enjoyable viewing experience. 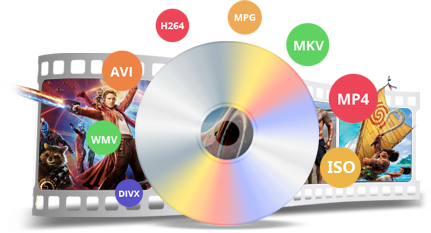 Moreover, HD Video Converter Factory Pro can ensure you the original video quality while compress the video to a smaller size. Want to watch your favorite movies when travelling? In the past, you can only watch your favorite movies at home with a DVD player. But now. With DVD Ripper Pro, you can easily enjoy them at any time anywhere. It can copy DVD to digital videos, and make exact copy of DVD — DVD to ISO image and DVD folder. Just free download it and begin your cinematic tour.